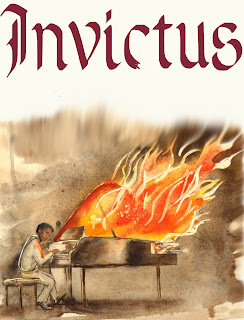 Invictus by L.L. Holt will be released May 2019, it has been announced by Harvard Square Editions. Review copies are being sent out in January 2019. This novel follows the stormy childhood of a dark-skinned boy growing up in a dysfunctional white German household in the late 1700s. The child has many adventures, escapes the horror of domestic violence, and learns to overcome discrimination and intolerance through his music. 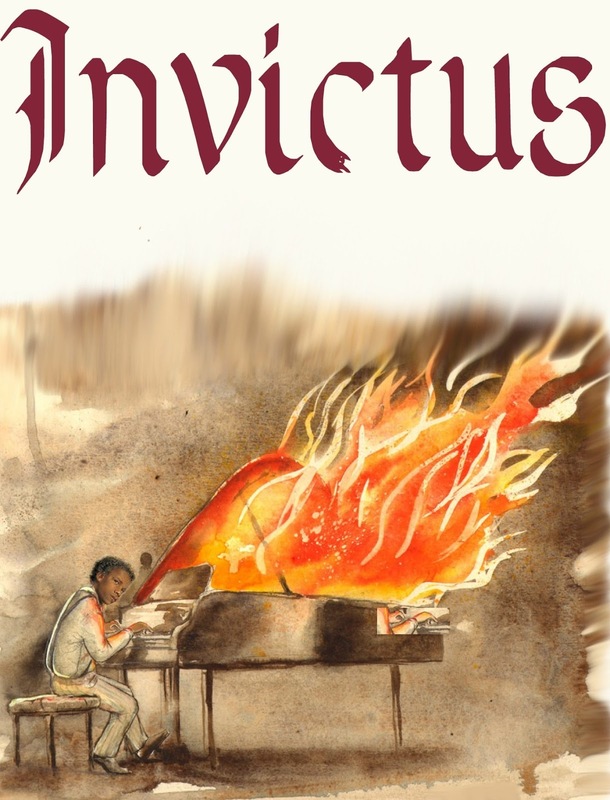 Final proofing of the galleys to Invictus, a novel about a dark-skinned child's struggles against discrimination, bullying, and domestic violence in late 18th century Germany, is taking place during June 2018. The novel will be published by Harvard Square Editions during the 2018-19 publishing cycle, and already has received praise by individuals in the academic and music communities. Two teachers gone, now Luis had begun studying with a person of true merit: the fairly new court musical director, Chris Neefe (pronounced NAY-fuh), from the eastern states. Seems like a solid musician, strong background in theater, too. Knows his Bach, for sure. Not surprising, since he’s a Protestant, wonder how that will work out with the court over time, John mused erratically as his quill flew over the pages. So, less with the monks, more with the court, where the money is. This tour will help, no doubt. Luis walked confidently to the piano, not paying Neefe the slightest attention. “What was that music, sir?” he asked, placing his hand boldly on the keyboard and replicating a few of the sounds just made, perfectly recalling a complex syncopation; then his eyes drinking in the sheet music before him. Neefe’s lips turned up in a half smile; he was at once surprised by the child’s audacity, but more so by his keen ear and musical memory. Neefe surveyed the boy, from head to toe, noting the shabby clothes, unwashed and unruly head of hair, and of course, noting the dark tint of his skin, the broad facial features, the burning eyes. “You come highly recommended, Luis,” he said at last, sitting back a bit, beginning to relax. “But why?” the boy demanded. This was a new approach for Luis, and it caught him off guard. He had hoped to launch into a bravura showcase of his own talent and then begin the regimen of exercises and drills. “Who am I?” he repeated, puzzled. He looked down for some moments, studying his hands. Then he looked up at Neefe. “I am this,” his hand touched the keyboard, “and this,” patting the score. “And what of this?” asked Neefe, resting his hand on the boy’s head. “And this?” touching his own heart. “Love is the seed from which music springs, whether performed or composed originally,” the teacher said. “Love…of what?” the boy asked. Neefe smiled. “Yes, I suppose children can get on one’s nerves,” he said with gentle irony, still assessing the 10-year-old before him. Neefe stifled a smile. “That is quite fair, Luis, quite fair. Genesis says God created the world, not the church. Yes, you are using your head, good work, boy!” Luis smiled slightly, surprised that he had had the nerve to tell this adult his deepest thoughts on the subject, and amazed that he was encouraged rather than criticized. Neefe slid off the bench, favoring his left arm, and stood to the side as the child sidled over to the center and leaned forward to scan the music closely. Then he raised his hands and launched into a nearly perfect sight reading, filled with fervor, feeling and power. Neefe nodded slightly to himself, and tried to temper the upward turn at each edge of his lips. He felt the hair stand up on the back of his neck, and his eyes stung, as though he had gotten too close to a roaring fire. He knew in that moment, in the stuffy room with no windows, with the scruffy child drawing unheard of music out of the piano, that before him lay his life’s work and mission, and vowed in that moment to let nothing stand in the way of the child’s development as a pianist and as a human being. Although much of my writing in recent years has been about music, for many years I also have written about Daoism, Chinese thought as it has taken hold in the West, Yoga philosophy, and comparative spirituality. The following essay appeared in a 2006 issue of The Empty Vessel, a journal on Daoist thought and aesthetics founded by Western Daoist, Solala Towler. In this essay, I describe my own Daoist journey, a path which blends seamlessly with Yoga and the Christian religion in which I grew up. I am currently co-editor and chapter contributor of a book on Daoism and science which is scheduled for publication by Nova Science Press in May 2019.